"This photograph provided by Janet Fearby was taken in the mid to late 1800s" it is reprint from photo locket that belonged to either Annie Drew (nee Reece) or her daughter Elizabeth Jane Knox (nee Drew). 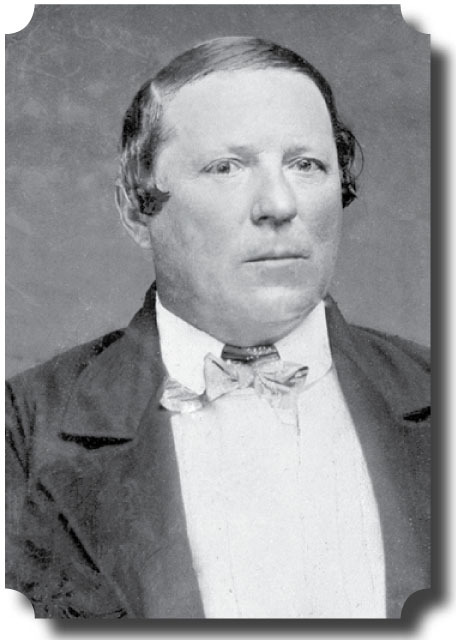 Heather Fearby suggested it may be George Watson Drew (George and Annie Drew?s second son or it could be George Drew Sr). However he left for the goldmines in approx. 1849 at 28 years old - It could also be Standish William (eldest son) - who died in 1879 age 35. 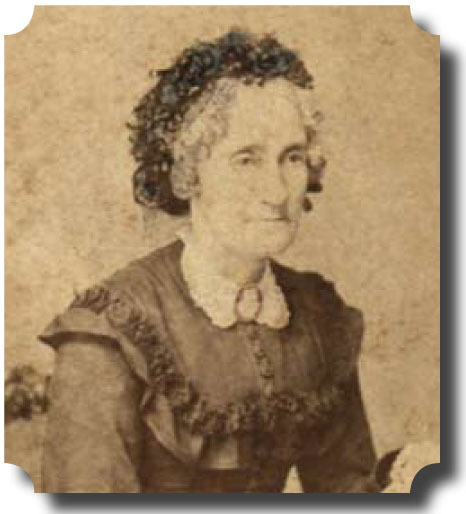 Photo of Annie Drew - born 16th January 1821 in Parramatta to David Reece and Hannah Hillas. Baptised St. John?s on 29th April 1821. 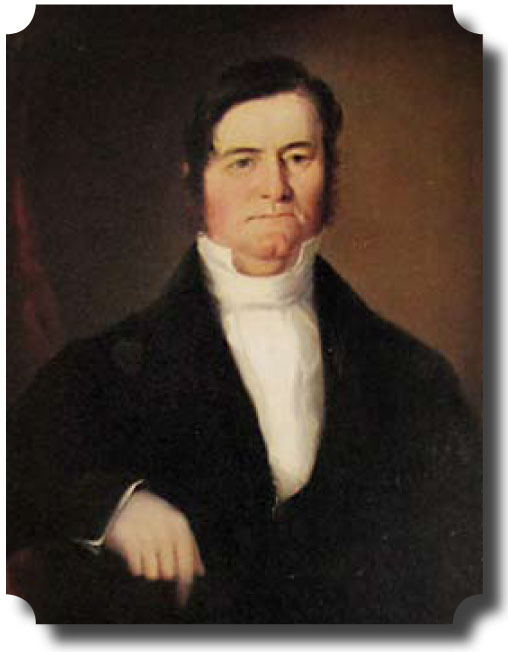 Married George Drew January 9th 1843 at the Parish of Hunter?s Hill County of Cumberland. 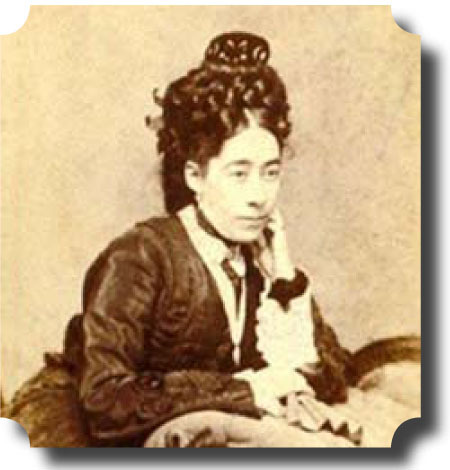 Annie Drew died April 19th 1900 at Montargis,Wentworthville, the home of her daughter Elizabeth Jane married to Joseph Knox. Elizabeth Jane Knox (nee Drew) born 30th April 1846, baptised Parish of Marsfield, County of Cumberland, 31st May 1846, daughter of George Drew and Ann Drew (nee Reece). 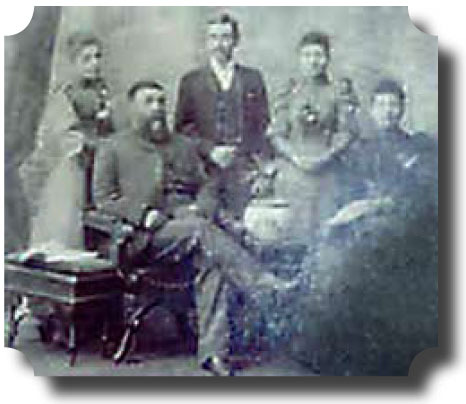 Married Joseph Knox June 1870 at 13 Edwards Street South Head Road Sydney - according the the rites of the Presbyterian Church.